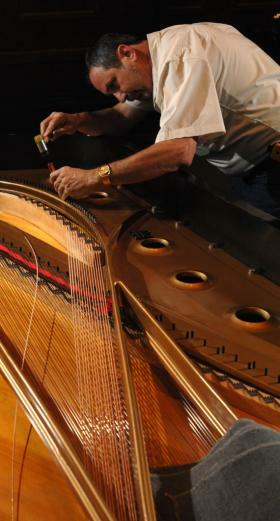 James Parsley finishes the restringing of the 9-foot grand piano at North Jacksonville Baptist Church. Parsley knew at age 7 that pianos were going to be a part of his life. 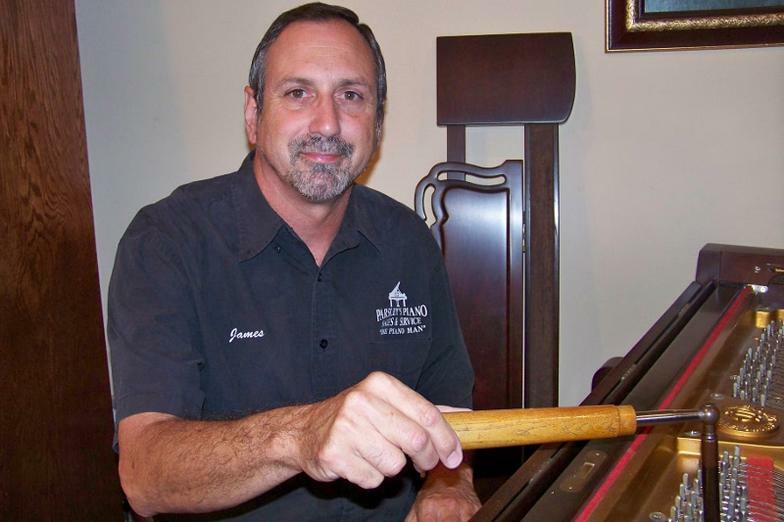 Parsley's Piano Sales and Service was established in 1979. James Parsley is the original and only owner of the business. He makes it a constant goal to ensure you are a repeat customer and are totally satisfied.